144 entries have been submitted by event, experiential and live marketing agencies as well as companies and fair & congress organizers for the Heavent Awards 2018, ahead of the awards ceremony on 29 March 2018. 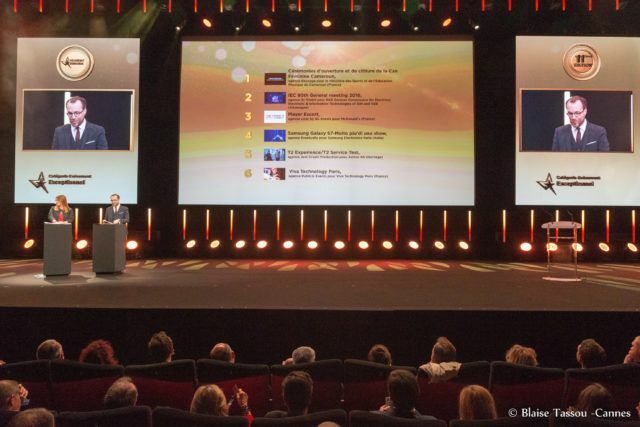 The Heavent Awards broke its previous records by receiving the 144 entries from different countries all over the world: France, UK, Germany, Canada, Italy, the Netherlands, Norway, Sweden, Switzerland, Finland, Morocco, Turkey, Slovakia and the USA. The jury members are chosen among corporate clients with a position of Event Communication Director & Manager and product marketing manager from companies such as L’Oreal, Nike, Arkema, Audi, Coca Cola, Shell, Beiersdorf, Continental, Mondelez International…. The organizing company, We You Group, expects an audience of more than 1.000 event professionals for the ceremony in the Palais des Festivals de Cannes, taking place during Heavent Meetings. Heavent Meetings is an Event and MICE trade fair (450 exhibitors) with targeted and individual appointments, business lunches and three networking-evenings in amazing event locations. With more than 4.000 trade visitors, 500 of them Hosted Buyers (agencies and corporates), Heavent Meetings is the focused meeting place for trade professionals. The Heavent Meetings hosted buyer program for event decision-makers (agencies, associations, corporate) includes travel to and from Cannes, accommodation in a top hotel in Cannes, Lunch & Dinner. A few places are still available.